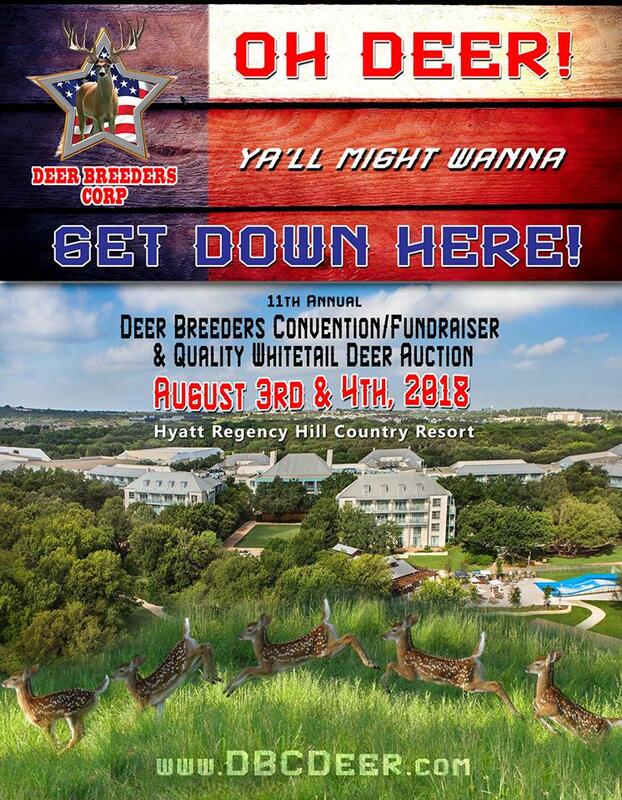 Join us in San Antonio, TX on August 3rd & 4th at the Hyatt Regency Hill Country Resort and Spa for the 11th Annual Deer Breeders Corporation Convention. Activities include a live & silent whitetail deer auction, exhibitor booths, research updates, entertainment and more. Bar None Country Store will again proudly sponsor Saturday’s lunch for all attendees. Be sure to stop by our booth in the exhibit hall, visit with us and see all that we have in our store and learn how we can help with deer nutrition. To view a complete conventions schedule, click here. This entry was posted on Tuesday, July 31st, 2018 at 1:05 pm	and is filed under Events, News & Updates, Wildlife. You can follow any responses to this entry through the RSS 2.0 feed. Both comments and pings are currently closed.